This high-level event—held at the “EWEC Hub” at UNHQ in the margins of the UN General Assembly—highlighted the importance of cross-sectoral investments in a child’s earliest years to address inequality, break the cycle of poverty, and improve outcomes later in life. Through a series of discussions, speakers noted the long-lasting impact of these “human capital investments” and encouraged urgent action to capitalize on them. Several countries also showcased their own experiences, providing concrete examples of interventions from Uganda, Norway, Chile and Estonia. Hosted by the Early Childhood Development Action Network (ECDAN), Every Woman Every Child (EWEC), the Global Partnership for Education (GPE), the Global Partnership to End Violence Against Children (EVAC), Sanitation & Water for All (SWA), the Scaling-Up Nutrition (SUN) Movement, UNICEF, the World Bank Group and the World Health Organization (WHO), this event brought together a number of partnerships from different sectors to highlight the power of cross-sectoral, multi-stakeholder partnerships to protect and promote full childhood development. 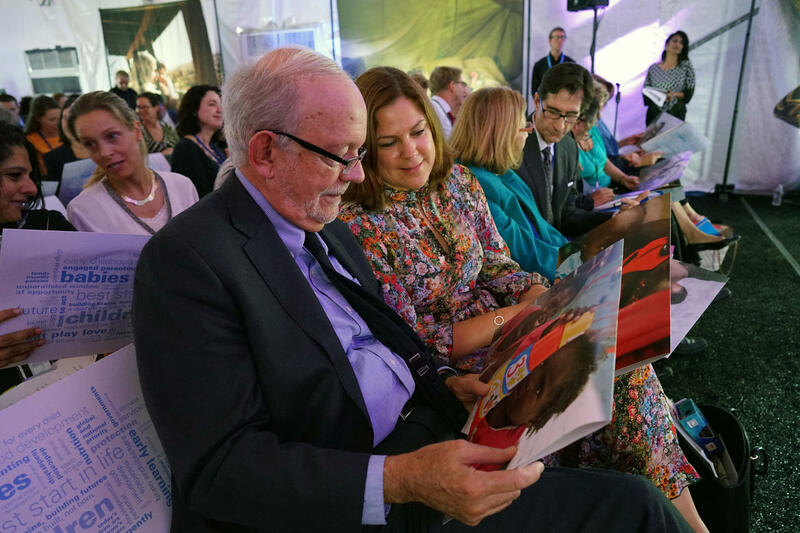 The event also saw the launch of UNICEF’s new Early Moments Matter for Every Child report, which details a six-point action agenda on ECD to galvanize greater commitment for action at country-level by governments and businesses. 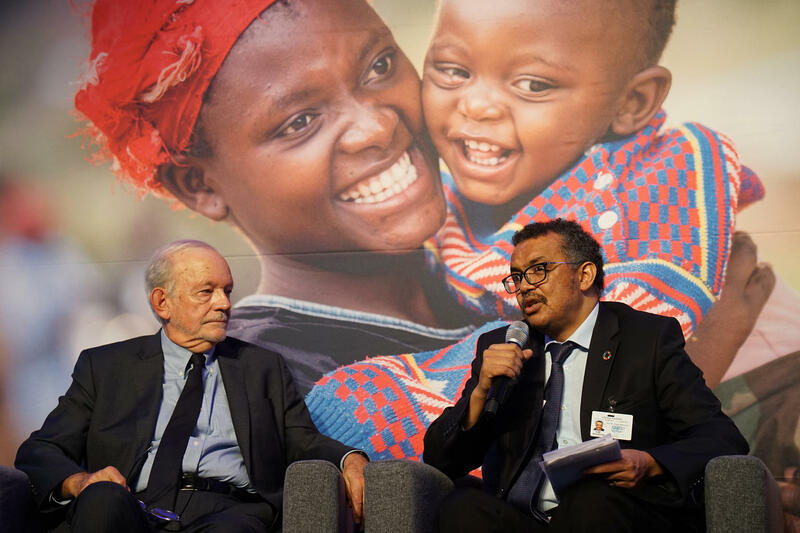 The session served as a key advocacy moment ahead of the Nurturing Care consultations that UNICEF and WHO will co-host to develop a Nurturing Care framework that will be launched during next year’s World Health Assembly, which will include a special focus on ECD. A child’s earliest years present a window of opportunity to address inequality and achieve sustainable development for all. Quality health, education, nutrition, protection and nurturing care at the right time in a child’s life, enables healthy brain development, which improves children’s capacity to learn and increases their productivity in adulthood. Individually, each of these sectoral investments is important but, on their own, they’re insufficient to create positive holistic change in the life of a child. Collectively, however, these human capital investments are greater than the sum of their parts and will create healthier, more prosperous and resilient societies for generations to come. On 21 September 2017, the President of Estonia H.E. Ms. Kersti Kaljulaid makes a commitment to endorse and act upon a six-point Call to Action to provide a fair start for children everywhere at the 72nd United Nations General Assembly “Investing in the Early Years: A Roadmap for Sustainable Futures” at the United Nations Headquarters in New York, United States of America. 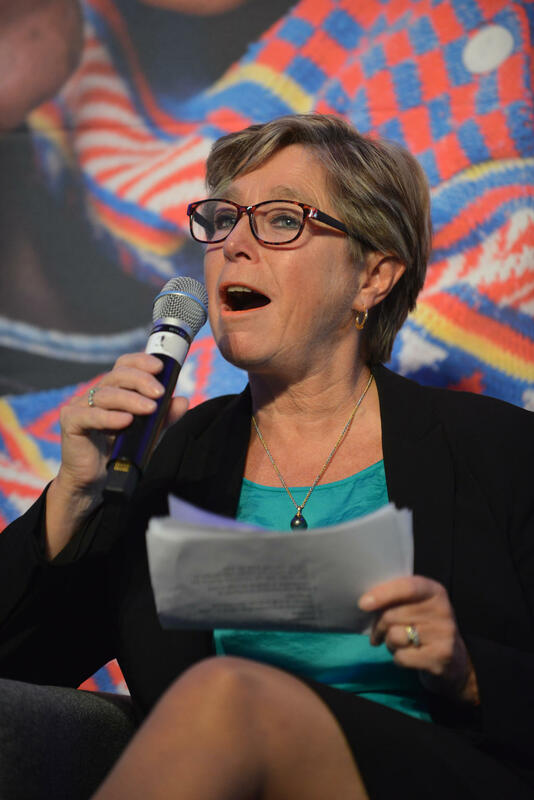 The event also served to launch UNICEF’s “Early Moments Matter, for Every Child” report, which calls on governments and businesses to endorse and act upon a six-point Call to Action to provide a fair start for children everywhere. A child’s earliest years present a window of opportunity to address inequality and achieve sustainable development for all. Quality health, education, nutrition, protection and nurturing care at the right time in a child’s life, enables healthy brain development, which improves children’s capacity to learn and increases their productivity in adulthood. In fact, investing in young children’s development is one of the smartest investments a government can make to address inequality, break the cycle of poverty, and improve outcomes later in life. Cross-sectoral collaboration is critical to increase efficiencies and maximize impact of investments, accounting for the intersection of various sectors on one’s development through childhood and into adolescence. Every Woman Every Child, the Global Partnership for Education, Sanitation & Water for All, the Scaling-Up Nutrition (SUN) Movement and the ECD Action Network, and UNICEF have joined together to deliver on the promise of the 2030 Agenda for Sustainable Development by endeavouring to give every child the best start in life. In coming together, these organizations and partnerships aim to galvanize political commitment for investing in the early years, showcasing national efforts and the importance of cross-sectoral investments to promote the developmental potential of all young children. On 21 September 2017, Hon. 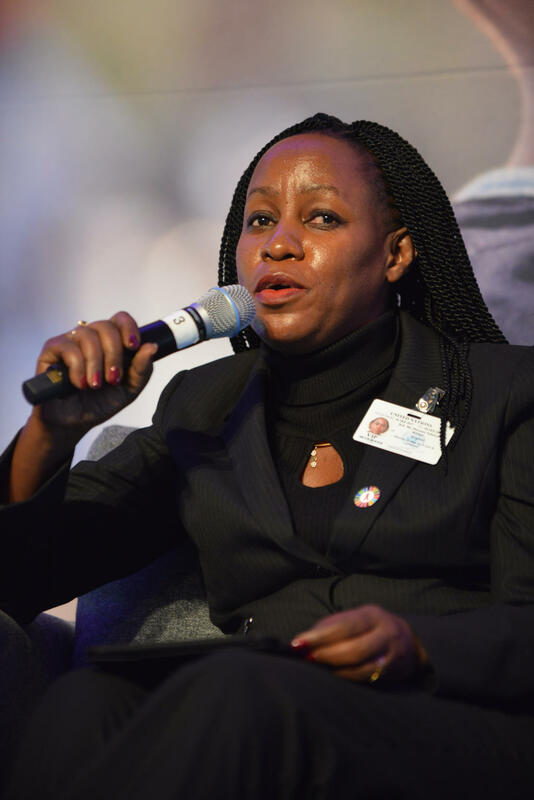 Florence Nakiwala, Minister of State for Youth and Children Affairs, Uganda speaks at a high level side event at the 72nd United Nations General Assembly “Investing in the Early Years: A Roadmap for Sustainable Futures” at the United Nations Headquarters in New York, United States of America. 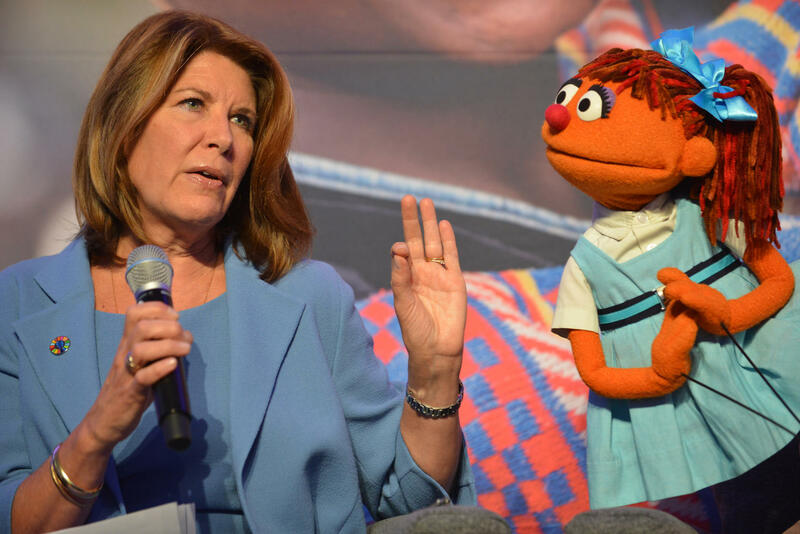 The event also served to launch UNICEF’s “Early Moments Matter, for Every Child” report, which calls on governments and businesses to endorse and act upon a six-point Call to Action to provide a fair start for children everywhere. A child’s earliest years present a window of opportunity to address inequality and achieve sustainable development for all. Quality health, education, nutrition, protection and nurturing care at the right time in a child’s life, enables healthy brain development, which improves children’s capacity to learn and increases their productivity in adulthood. In fact, investing in young children’s development is one of the smartest investments a government can make to address inequality, break the cycle of poverty, and improve outcomes later in life. Cross-sectoral collaboration is critical to increase efficiencies and maximize impact of investments, accounting for the intersection of various sectors on one’s development through childhood and into adolescence. Every Woman Every Child, the Global Partnership for Education, Sanitation & Water for All, the Scaling-Up Nutrition (SUN) Movement and the ECD Action Network, and UNICEF have joined together to deliver on the promise of the 2030 Agenda for Sustainable Development by endeavouring to give every child the best start in life. In coming together, these organizations and partnerships aim to galvanize political commitment for investing in the early years, showcasing national efforts and the importance of cross-sectoral investments to promote the developmental potential of all young children. 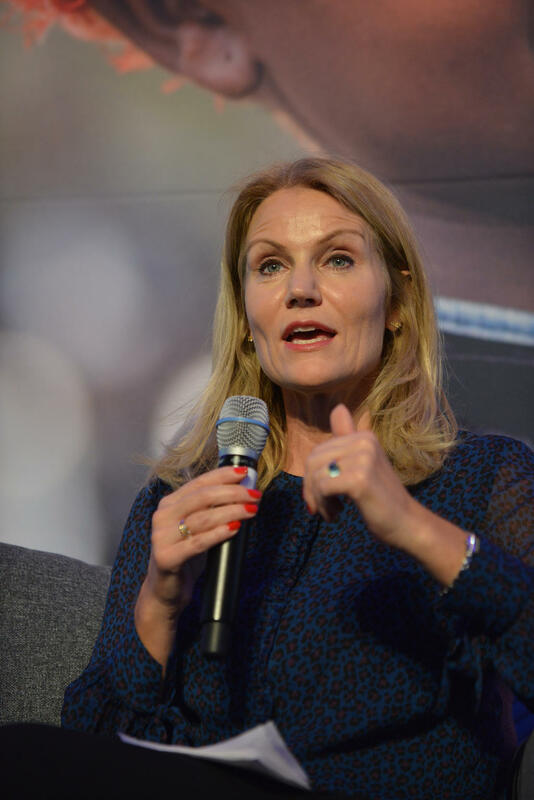 On 21 September 2017, Save the Children CEO Helle Thorning-Schmidt speaks at a high level side event at the 72nd United Nations General Assembly “Investing in the Early Years: A Roadmap for Sustainable Futures” at the United Nations Headquarters in New York, United States of America. The event also served to launch UNICEF’s “Early Moments Matter, for Every Child” report, which calls on governments and businesses to endorse and act upon a six-point Call to Action to provide a fair start for children everywhere. A child’s earliest years present a window of opportunity to address inequality and achieve sustainable development for all. Quality health, education, nutrition, protection and nurturing care at the right time in a child’s life, enables healthy brain development, which improves children’s capacity to learn and increases their productivity in adulthood. In fact, investing in young children’s development is one of the smartest investments a government can make to address inequality, break the cycle of poverty, and improve outcomes later in life. Cross-sectoral collaboration is critical to increase efficiencies and maximize impact of investments, accounting for the intersection of various sectors on one’s development through childhood and into adolescence. Every Woman Every Child, the Global Partnership for Education, Sanitation & Water for All, the Scaling-Up Nutrition (SUN) Movement and the ECD Action Network, and UNICEF have joined together to deliver on the promise of the 2030 Agenda for Sustainable Development by endeavouring to give every child the best start in life. In coming together, these organizations and partnerships aim to galvanize political commitment for investing in the early years, showcasing national efforts and the importance of cross-sectoral investments to promote the developmental potential of all young children. 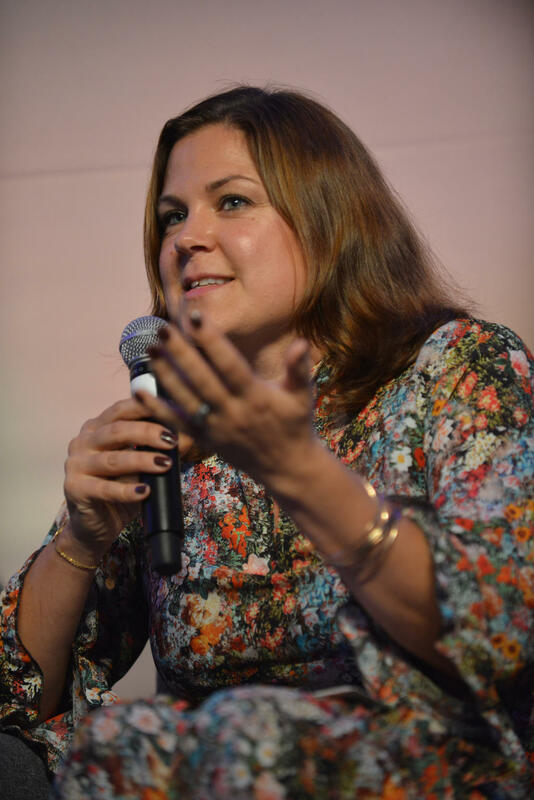 On 21 September 2017, Global Manager H&M Foundation Diana Amini speaks in a high level side event at the 72nd United Nations General Assembly “Investing in the Early Years: A Roadmap for Sustainable Futures” at the United Nations Headquarters in New York, United States of America. 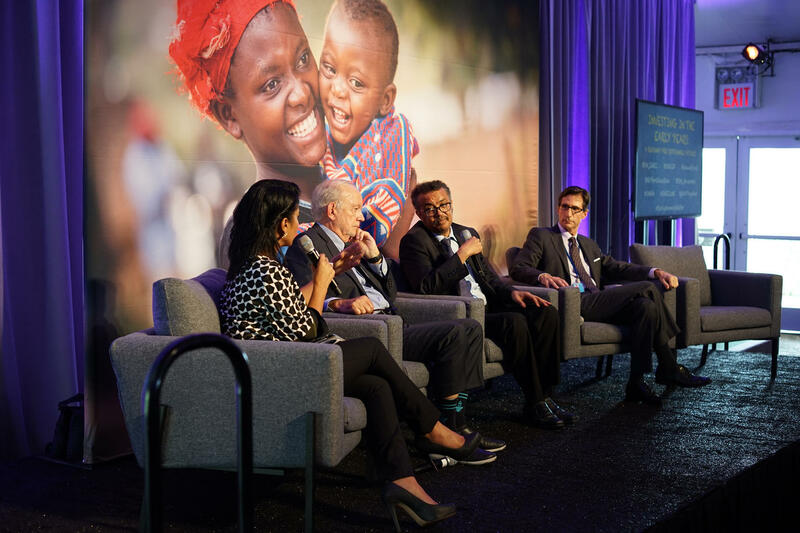 The event also served to launch UNICEF’s “Early Moments Matter, for Every Child” report, which calls on governments and businesses to endorse and act upon a six-point Call to Action to provide a fair start for children everywhere. A child’s earliest years present a window of opportunity to address inequality and achieve sustainable development for all. Quality health, education, nutrition, protection and nurturing care at the right time in a child’s life, enables healthy brain development, which improves children’s capacity to learn and increases their productivity in adulthood. In fact, investing in young children’s development is one of the smartest investments a government can make to address inequality, break the cycle of poverty, and improve outcomes later in life. Cross-sectoral collaboration is critical to increase efficiencies and maximize impact of investments, accounting for the intersection of various sectors on one’s development through childhood and into adolescence. Every Woman Every Child, the Global Partnership for Education, Sanitation & Water for All, the Scaling-Up Nutrition (SUN) Movement and the ECD Action Network, and UNICEF have joined together to deliver on the promise of the 2030 Agenda for Sustainable Development by endeavouring to give every child the best start in life. In coming together, these organizations and partnerships aim to galvanize political commitment for investing in the early years, showcasing national efforts and the importance of cross-sectoral investments to promote the developmental potential of all young children. On 21 September 2017, State Secretary for Norway Tone Skogen speaks at a high level side event at the 72nd United Nations General Assembly “Investing in the Early Years: A Roadmap for Sustainable Futures” at the United Nations Headquarters in New York, United States of America. 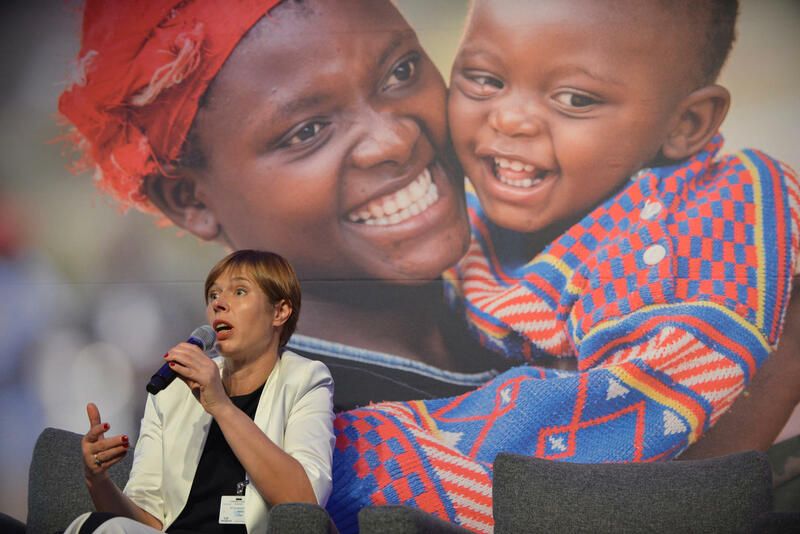 The event also served to launch UNICEF’s “Early Moments Matter, for Every Child” report, which calls on governments and businesses to endorse and act upon a six-point Call to Action to provide a fair start for children everywhere. A child’s earliest years present a window of opportunity to address inequality and achieve sustainable development for all. Quality health, education, nutrition, protection and nurturing care at the right time in a child’s life, enables healthy brain development, which improves children’s capacity to learn and increases their productivity in adulthood. In fact, investing in young children’s development is one of the smartest investments a government can make to address inequality, break the cycle of poverty, and improve outcomes later in life. Cross-sectoral collaboration is critical to increase efficiencies and maximize impact of investments, accounting for the intersection of various sectors on one’s development through childhood and into adolescence. Every Woman Every Child, the Global Partnership for Education, Sanitation & Water for All, the Scaling-Up Nutrition (SUN) Movement and the ECD Action Network, and UNICEF have joined together to deliver on the promise of the 2030 Agenda for Sustainable Development by endeavouring to give every child the best start in life. In coming together, these organizations and partnerships aim to galvanize political commitment for investing in the early years, showcasing national efforts and the importance of cross-sectoral investments to promote the developmental potential of all young children.